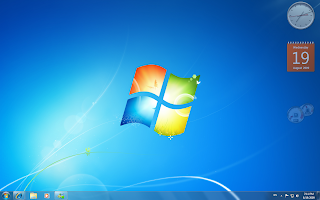 Thanks to my friend now I have Windows 7 RTM (Release to manufacture) version, which is kinda same as my Vista DVD (I got Vista before it's released) and I'm here to write a report on my experience on Windows 7 from yesterday. Yesterday night i decided to install it to my PC and well the upgrade option doesnt work since I'm using the pre-release version (RC1) so I done a clean install on it. 1st time it failed becuase of my DVD-ROM. So I tried my 2nd DVD-ROM and it worked. Installed all and its working.